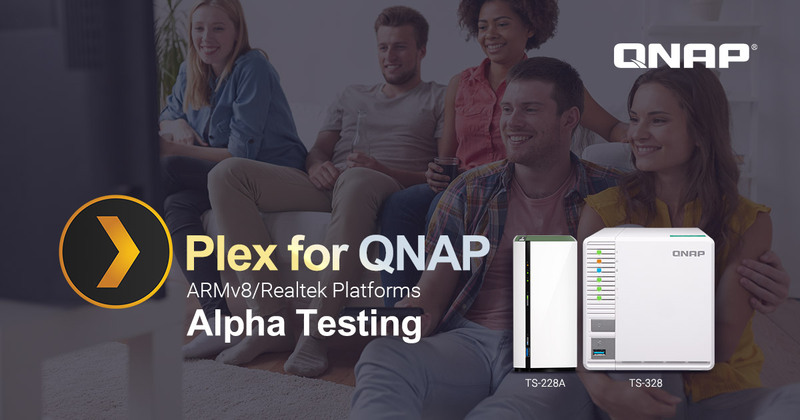 By providing official support for Plex on ARMv8 64-bit QNAP NAS, users of these NAS (especially the multimedia-focused TS-128A, TS-228A and TS-328) will enjoy a one-stop entertainment portal alongside complete file storage and multimedia applications. Learn more about Plex for QNAP NAS at https://www.qnap.com/solution/plex-best-nas/en-us/. With the Plex Media Server app (available from the QTS App Center), setting up QNAP NAS as a Plex Media Server is easy, and allows users to stream media files from their NAS to mobile devices, DLNA-compatible devices, and TV by using common streaming devices (including Roku, Apple TV®, Google Chromecast, and Amazon Fire TV). QNAP says they are working hard on preparing full release on these products eventually, to move out of the alpha phase and to quickly move to beta once enough data and feedback has been collected.